Halloween is meaningless without a generous dose of spook and eerie! 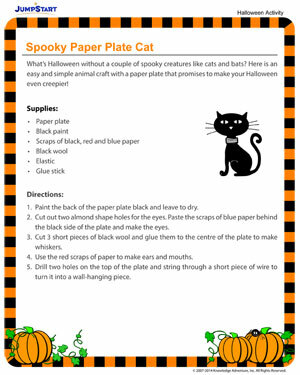 So, here is a paper plate craft that will help the kids make a spooky black cat wall hanging for Halloween house décor. The easy and simple craft will engage the kids in constructive fun for some time while you can wrap more important stuff in the kitchen or at the computer!